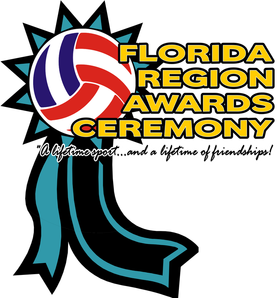 The Florida Region of USA Volleyball is honored to welcome guest speaker Lloy Ball to their highly anticipated annual awards event. Ball is a four-time Olympic athlete with the Men’s US National Volleyball Team (1996, 2000, 2004 & 2008.) At the 2008 Beijing Games, Ball’s team brought home the gold medal for USA. He was also recently inducted into the 2015 class of the International Volleyball Hall of Fame. Before his Olympic debut, Ball played college volleyball for Indiana University – Purdue University Fort Wayne (IPFW) where he earned multiple honors and accolades. He also played for several international club teams. Ball’s most recent athletic achievement was winning the 2015 Premier Volleyball League (PVL) Championships with his own Team Pineapple. The Florida Region Awards Ceremony will also feature the recognition of athletes, coaches, officials, staff and volunteers who have went above and beyond to enhance the growth of the sport. The Region will also award multiple scholarships to deserving, college-bound high school seniors. In 2015, the Region distributed $11,500 across 14 individual scholarships. For information on the event, please visit http://www.floridavolleyball.org. The Florida Region of USA Volleyball is a 501c3 non-profit that began operations in the 1960’s and was officially incorporated in 1982 to promote the sport of volleyball and to create competitive playing opportunities for volleyball enthusiasts of all ages throughout the State of Florida. The Florida Region is one of the 40 regional volleyball associations under the umbrella of USA Volleyball and currently serves approximately 12,500 members. Indoor and outdoor programming is available for adults, juniors, coaches and officials. The Florida Region of USA Volleyball headquarters is located in Eustis, FL. Additional information on the Florida Region can be found at: http://www.FloridaVolleyball.org.